I believe literacy is at the heart of everything we do as school librarians. Students must be able to read in order to effectively inquire, include, collaborate, curate, explore, and engage. And, as we all know, reading promotes lifelong learning. Creating a school environment in which students see reading is valued requires buy-in from all adults, not just the library staff. That said, the library staff can and should lead the charge. 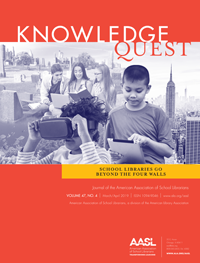 Reading promotions are an essential tool in the librarian’s quest to create a culture of reading. They provide positive reinforcement for our avid readers while encouraging our less enthusiastic readers to stop by the library to see what we have to offer. Reading promotions remind our school community about one of the essential services we provide, and they send a message that our schools value reading. Most of the reading promotions my co-librarian, Elaine, and I sponsor at our school are ones we learned about at conferences or by reading library blogs and professional journals. Reading promotions don’t have to be original to be effective. Because I get so many great ideas from other librarians, I’d like to share some of my favorite reading promotions in hopes they will be helpful to others. 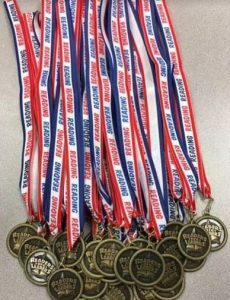 State Readers’ Award Programs. These programs provide a great way to encourage reading. In my library, we promote the Gateway Readers’ Award, sponsored by the Missouri Association of School Librarians. This curated list of fifteen books provides high-quality, high-interest titles for us to promote with students. In addition to buying multiple copies of each book for our collection, we purchase the Gateway video and share it with 9th- and 10th-grade language arts classes, display the books prominently all year, pass out Gateway bookmarks, and invite all students to fill out a “Gateway Reader” card to keep track of the nominated titles they’ve read. In March, we host a voting party for students who have read three or more titles. Because we actively promote these books each year, the Gateway Program is part of our school culture. The Gateway books are our most highly circulated items. These are the titles our students talk about and recommend to each other. These are the books they select for independent reading in their ELA classes and/or for pleasure reading outside of school. I think one reason students like the Gateway list is because it helps them to narrow their choices to a manageable number. Students, especially those who are not passionate readers, are sometimes overwhelmed by the number of books to choose from in a library. 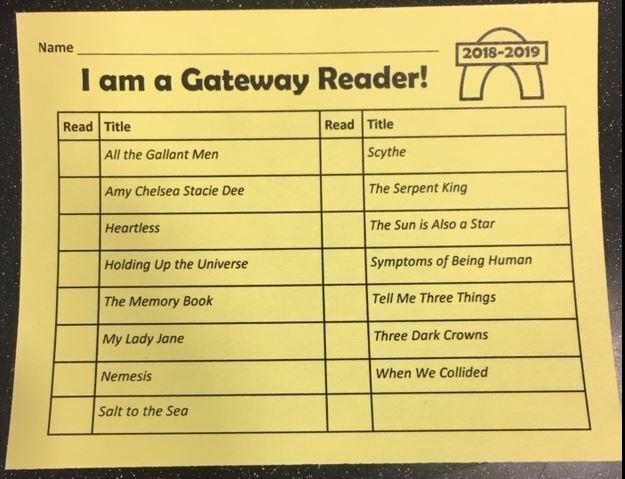 But a student who reads and enjoys a Gateway book is likely to return to the library to ask for one of the following: a sequel to that book (if there is one), a book by the same author, a similar book, or another Gateway book. It’s all about developing readers. 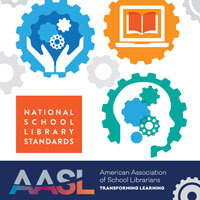 If your state’s school library association doesn’t sponsor a readers’ award for the grade levels you serve, or if you feel the nominated books don’t appeal to your students, work with other librarians or with students to create your own list of high-interest, high-quality books to promote every year. 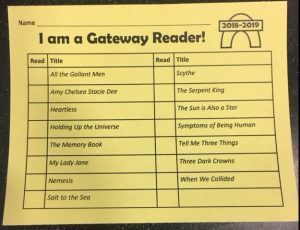 Students keep track of the Gateway books they’ve read by filling out a Gateway Reader Card. Book Selection Lessons. While I’ve always presented booktalks to ELA classes, Elaine and I started teaching book selection lessons when our 9th- and 10th-grade ELA teachers adopted Penny Kittle’s “Book Love” approach to reading about five years ago. This approach involves building students’ passion and stamina for reading by allowing them to choose the books they read, giving them time in class every day to read those books, and conferencing with them about their reading regularly. Most of the book selection lessons Elaine and I teach are variations on speed dating with books. Speed dating involves gathering books ahead of time and putting them on tables organizing them in some way (often by genre). When the class enters the library, students sit at a table. 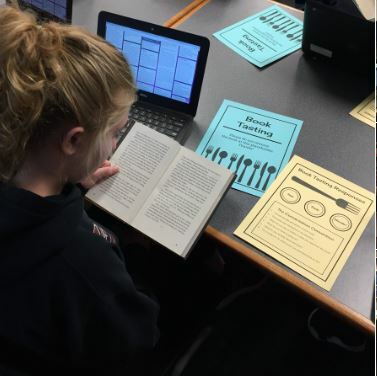 We talk to them about “meeting a book” by reading the summary, reading the author information, and reading the first few pages of the book.Then, we are ready to begin the “dating.” Each student selects a book from their table that looks interesting. The librarian sets a timer for 2-3 minutes, and students use that time to silently “meet” their book. When the timer goes off, they take a few moments to rate the book and jot down notes on a handout we give them. They also have the option of adding the title to their “read next” list if the book is one they want to read. Then, the students rotate to the next table and the process starts over. Librarians and teachers often assume students know how to select books they want to read, but that’s not always the case. (How often have you seen a student come into your library, grab they first book they see, and check it out because they need a book for independent reading?) These lessons expose students to a lot titles and allows them to browse books in a purposeful and thoughtful way, which teaches them how to choose books that are right for them. As much as I love book selection lessons, Elaine is even more passionate about them. 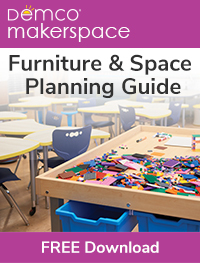 In fact, she presented a workshop on the topic last year at the MASL Spring Conference. Here’s a link to her slides presentation and handouts if you want to take a look at our lessons. A student participates in a book selection lesson. The marathon appealed most to students who were already readers, though our ELA teachers encouraged more reluctant readers to sign up since this was a low-stakes event. The students (and staff) who participated loved the marathon and asked every year if we would be doing it again. We found the event to be a relatively easy-to-implement program that celebrated readers and sent a message that our school valued reading. Lee and I were fortunate to have enough activity money to purchase incentive items and prizes for our reading marathon. However, a reading marathon can be implemented without those things. The essential pieces are the reading logs and some type of award (such as a certificate of achievement) for those who complete the marathon. 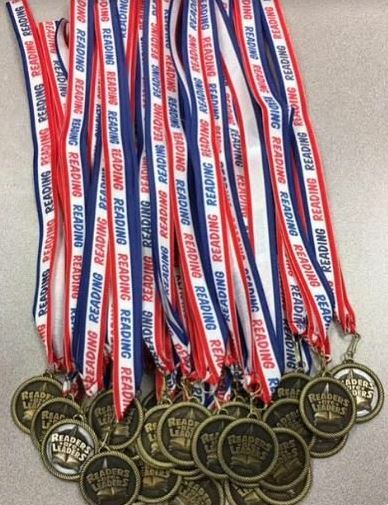 Reading marathon participants who completed their events received one of these medals. How do you promote reading in your library? I know there are tons of outstanding programs implemented by school librarians every day, and I would love to hear about them. Margaret Sullivan is a librarian at Rockwood Summit High School and also serves as the Lead Librarian for the Rockwood School District. 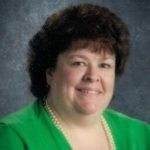 A past president of the Missouri Association of School Librarians, Margaret’s professional interests include advocacy, teacher collaboration, professional development, equity, and YA literature. You can connect with her on Twitter @mm_sullivan.